It’s no secret that mislabelling is rampant around the world. Recent studies estimate up to 30 percent of seafood served in restaurants and sold in supermarkets is actually something other than what is listed on the menu or label. Why mislabelling happens is a little squishier. Fraud, human error or marketing ploys — combined with an often multicountry traverse from boat to restaurant — make it possible you are eating a different fish than what’s on the menu. A University of Washington study examined the ecological and financial impacts of seafood mislabelling. Their paper finds that often mislabelling is good for fish populations, because the substituted fish is often more plentiful and of a better conservation status than the fish on the label. 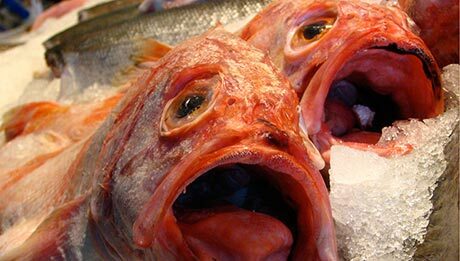 The researchers aggregated data from 43 published papers that tested the DNA of fish at various locations – including ports, restaurants, grocery stores and fish markets – to determine whether mislabelling occurred. They then matched the conservation status and estimated price for each of the mislabelled and true fishes listed in the studies. The new study also summarises which fish are most likely to be mislabelled and of those which varied the most in conservation status between the true and imposter fish. For example, snapper is one of the most frequently mislabelled fish. Its conservation status is vulnerable to endangered — meaning its population isn’t doing well — but the fishes most often substituted for snapper are considered critically endangered, bucking the overall trend. Other fish commonly replaced with species that are not from sustainable stocks include eel and hake. The primary ecological concern is that illegally-caught or vulnerable fish species are mislabelled to avoid detection or reap premiums for eco-labelled seafood. Alternatively, fish may be mislabelled to pass cheap, plentiful, species off as scarcer, more expensive specimens. If seafood is thus mislabelled to increase profit, mislabelling may cheat consumers financially but have enduring positive ecological effects. The study found that on average, the true fish were of improved conservation status, lower cost and higher global production compared to labelled species. That is, mislabelling resulted in people buying fish that were of lower value fish but had improved or equivalent conservation status. I’m surprised that this study does not discuss the other consequences of IUU fish commonly improperly marketed – like overfishing and human rights abuses in the supply chain. Not to mention income losses for nations that own plundered resources.